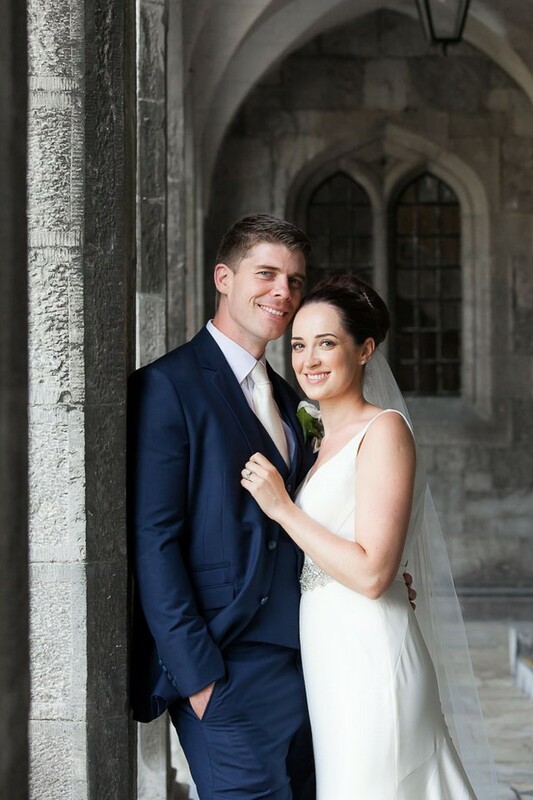 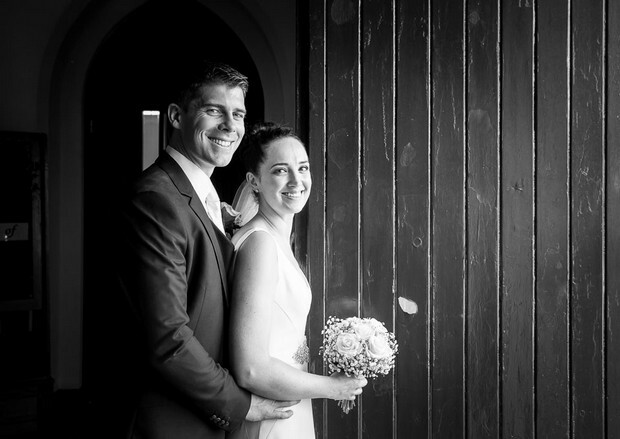 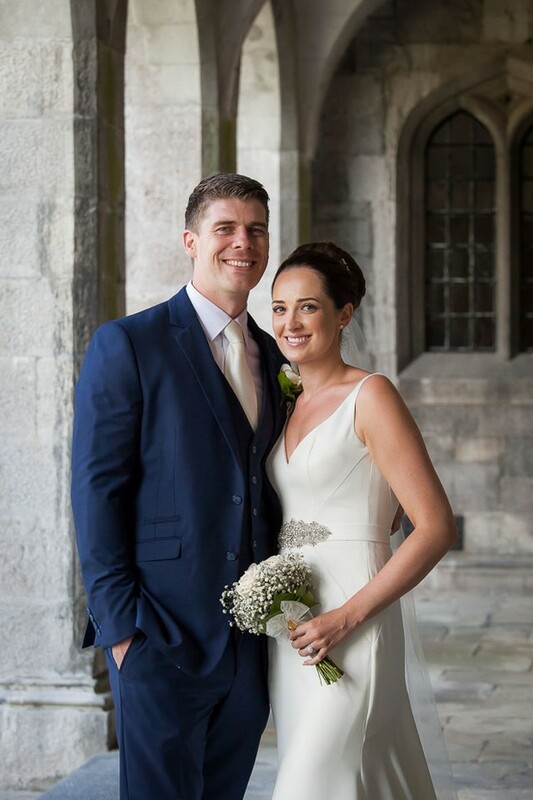 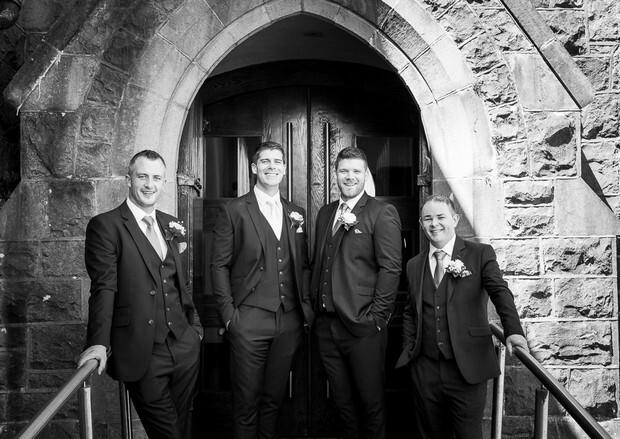 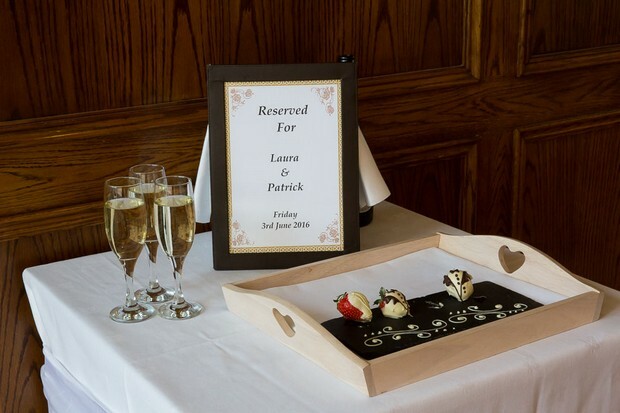 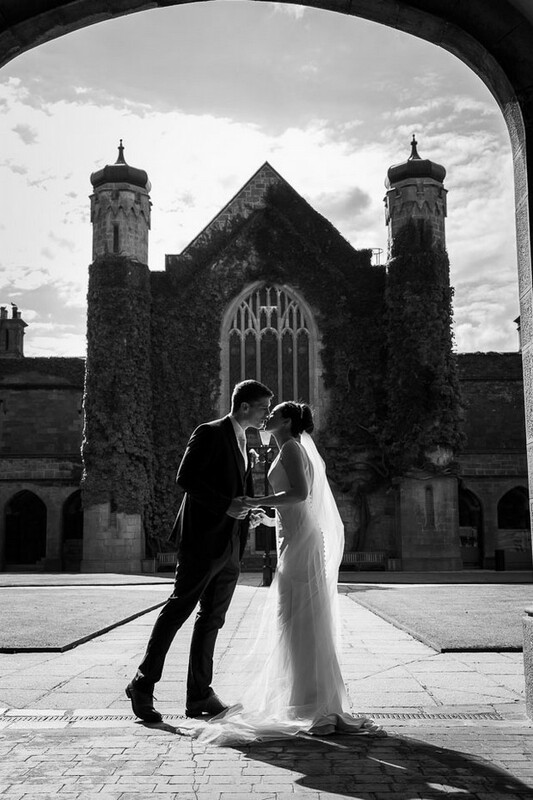 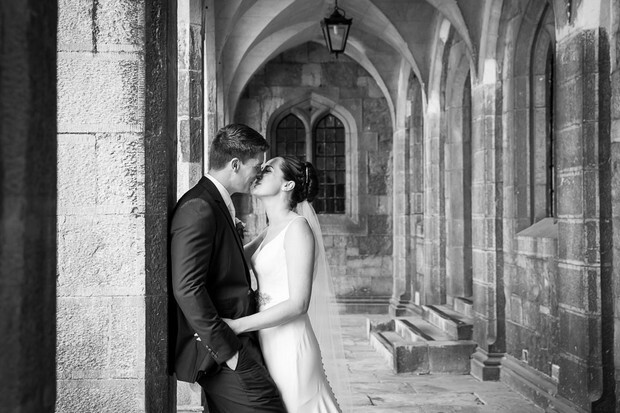 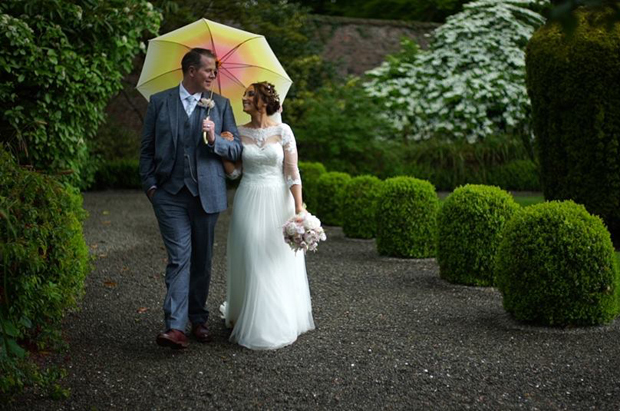 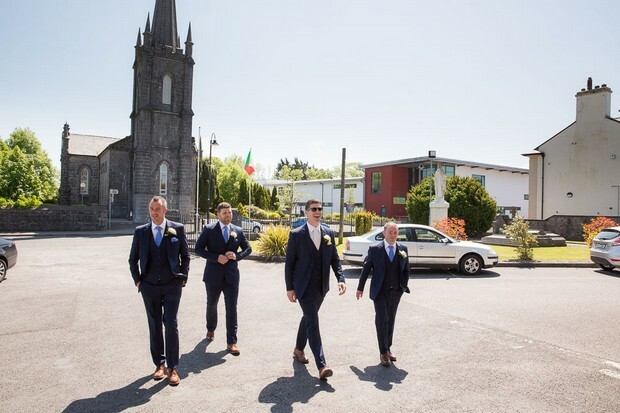 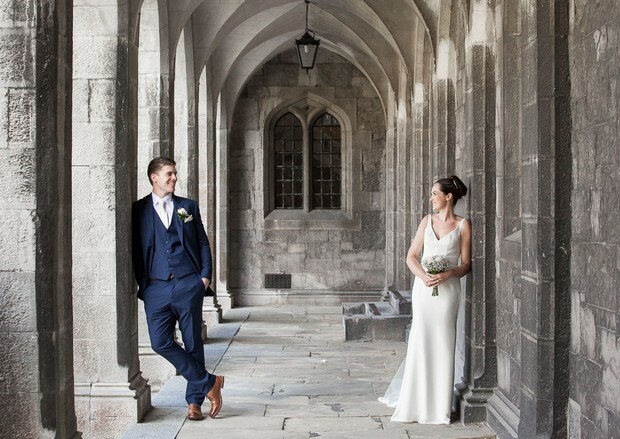 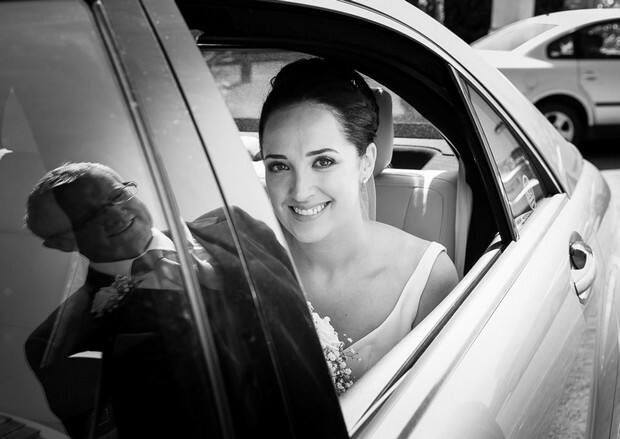 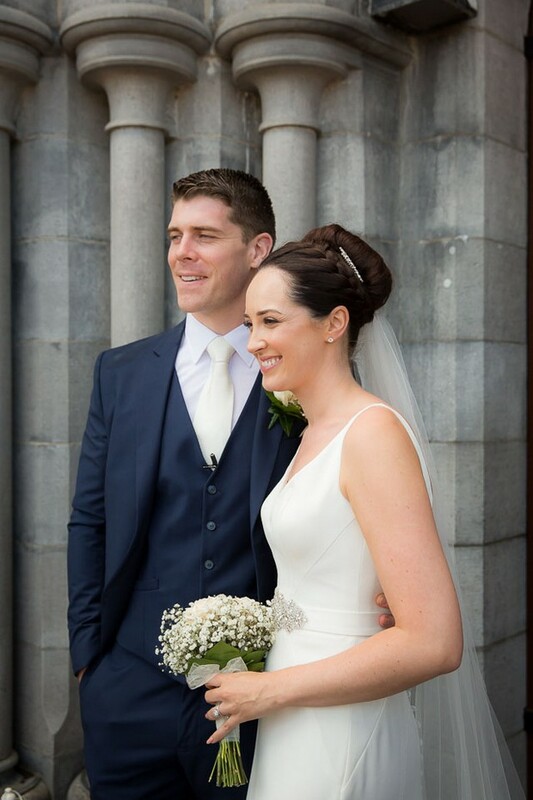 We met… through friends while studying in college in Carlow in 2005. 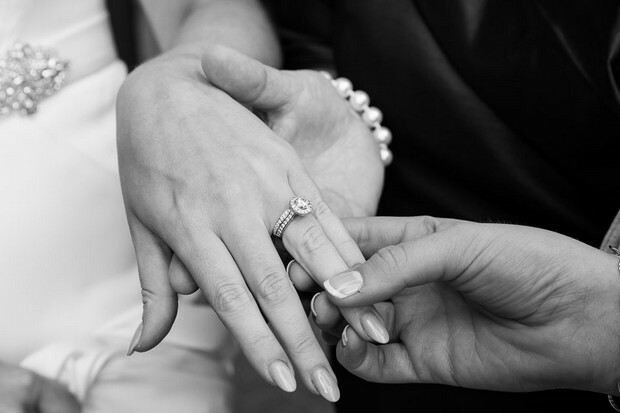 Our proposal… Bondi Beach, Sydney on the 20th December 2014, while I was taking photographs of the sunrise. 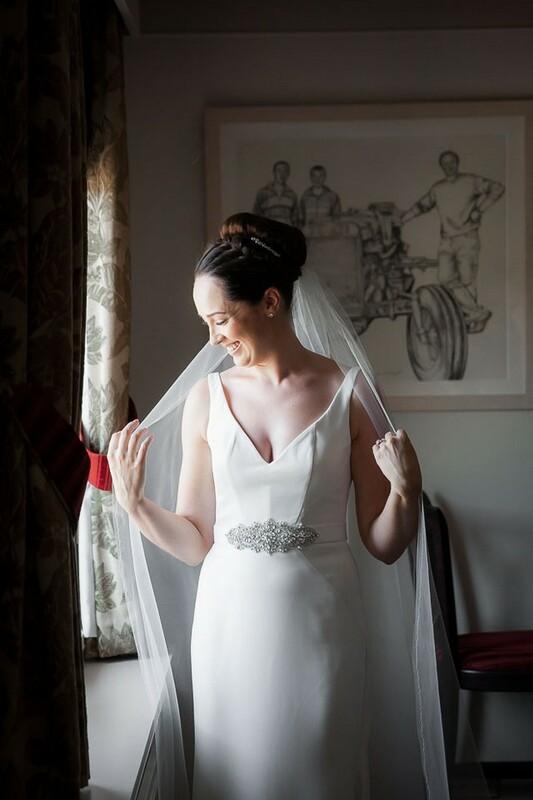 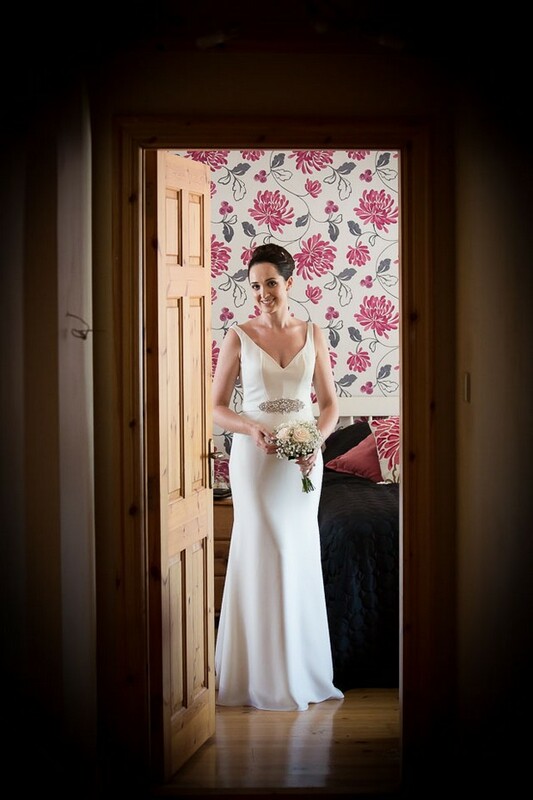 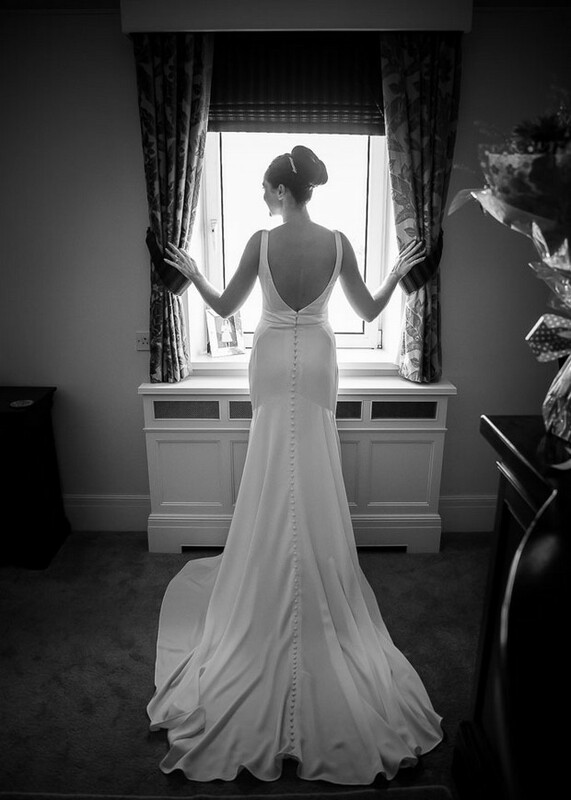 My look… My dress was from Dinagh Models Bridal Boutique. 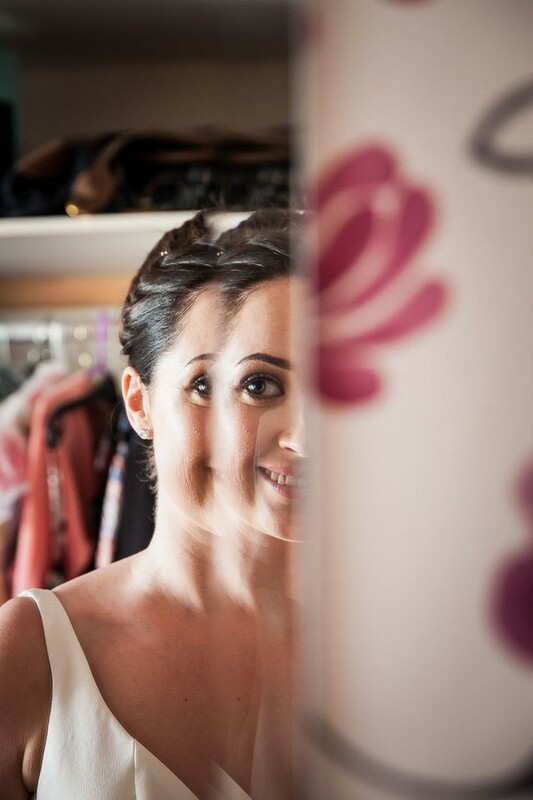 Hair by HG Hair did my hair and Danielle Mahon (Danielle Mahon Makeup Studios) did my makeup. 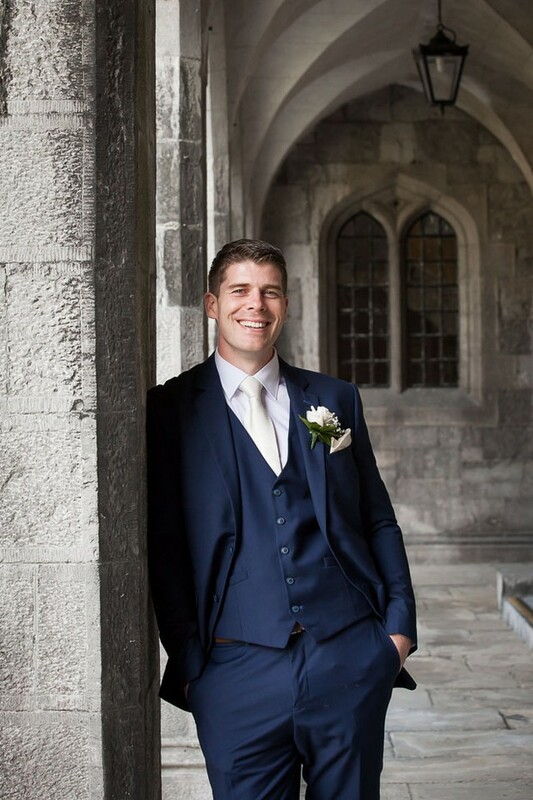 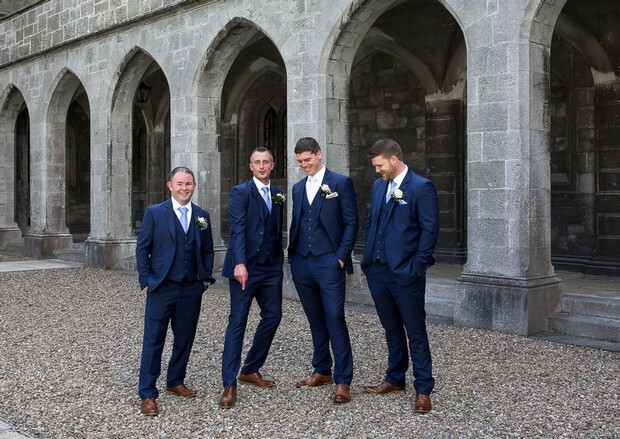 His suit… was dark navy and was from Esquire Formal Wear, Limerick. 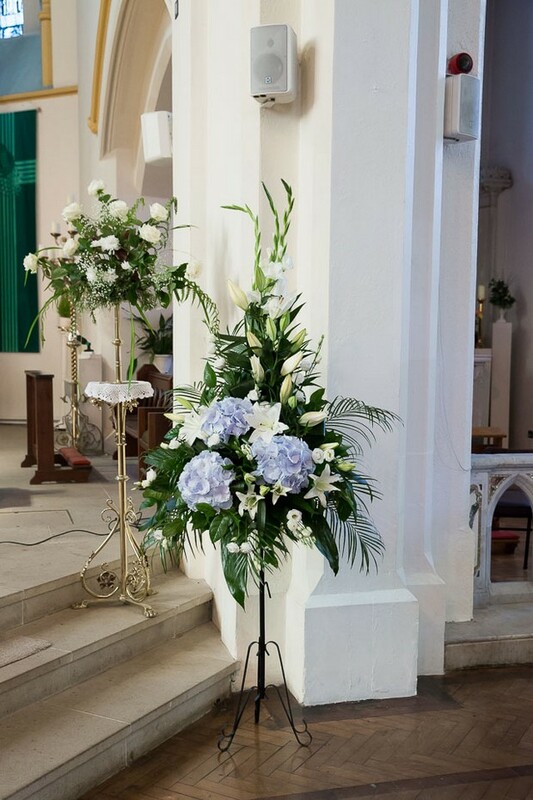 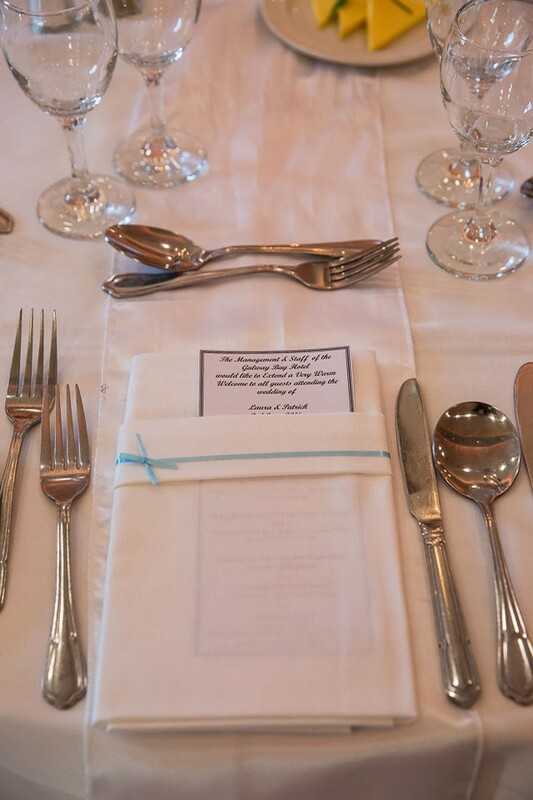 Our wedding theme/colours… simple and elegant, soft blue. 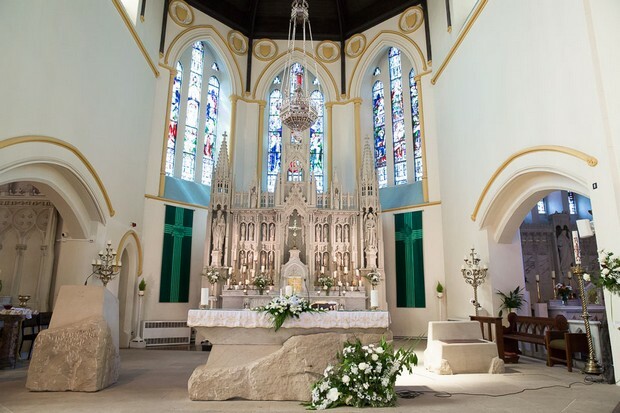 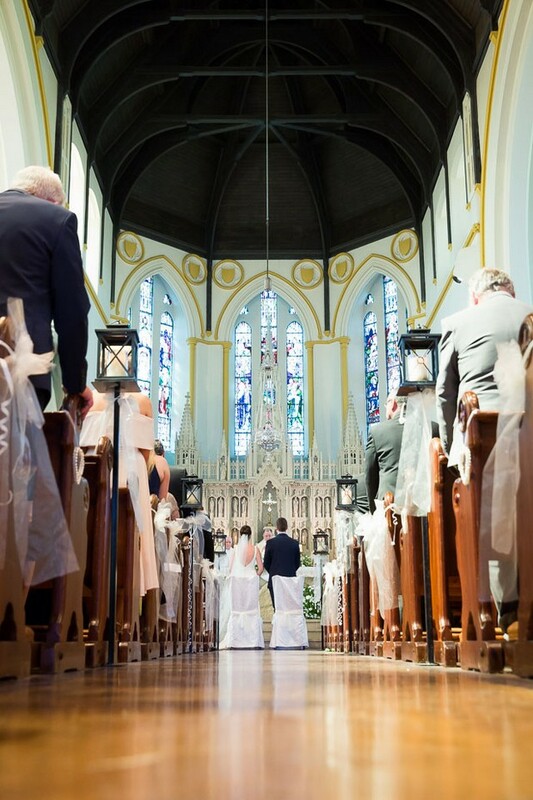 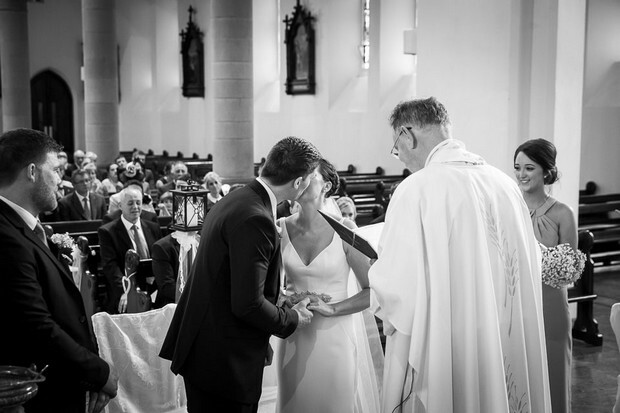 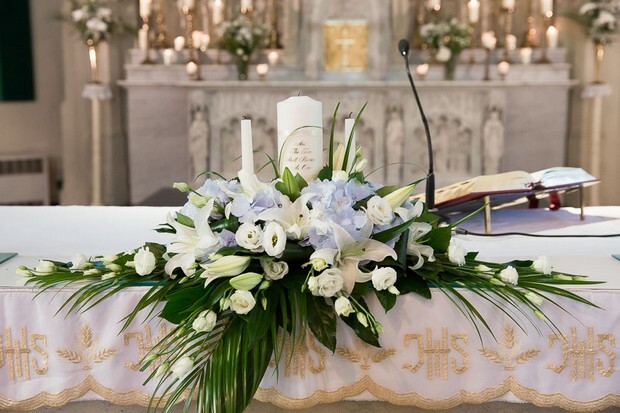 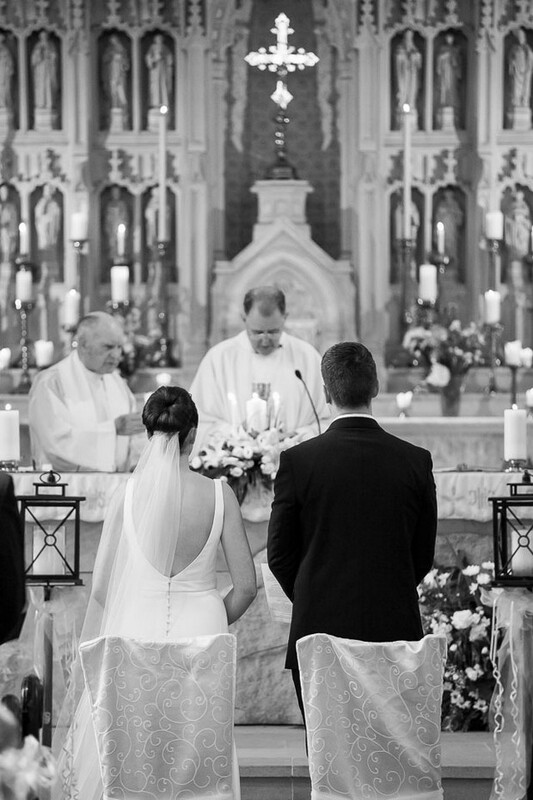 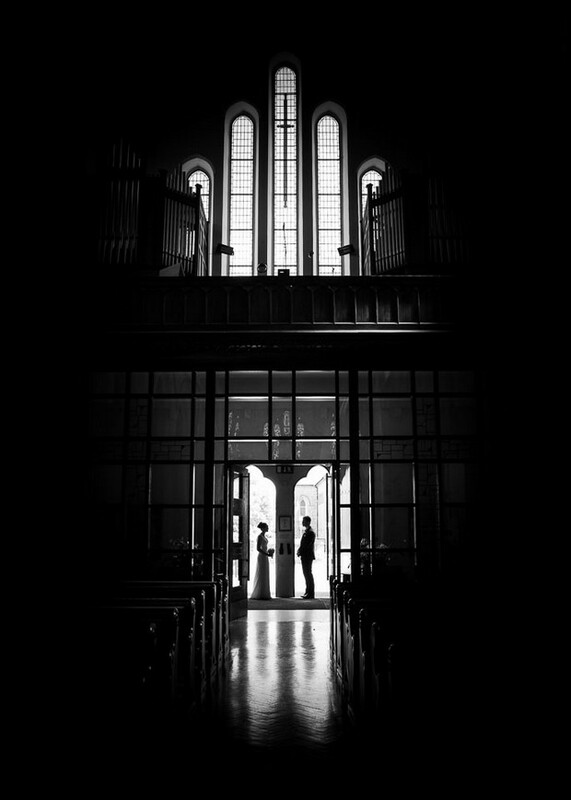 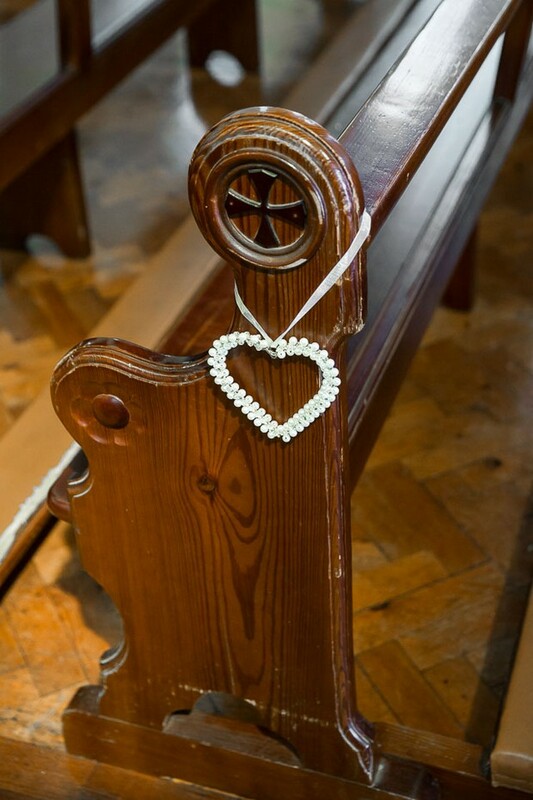 Our ceremony… took place in St Colman’s Church Claremorris and was celebrated by Fr. 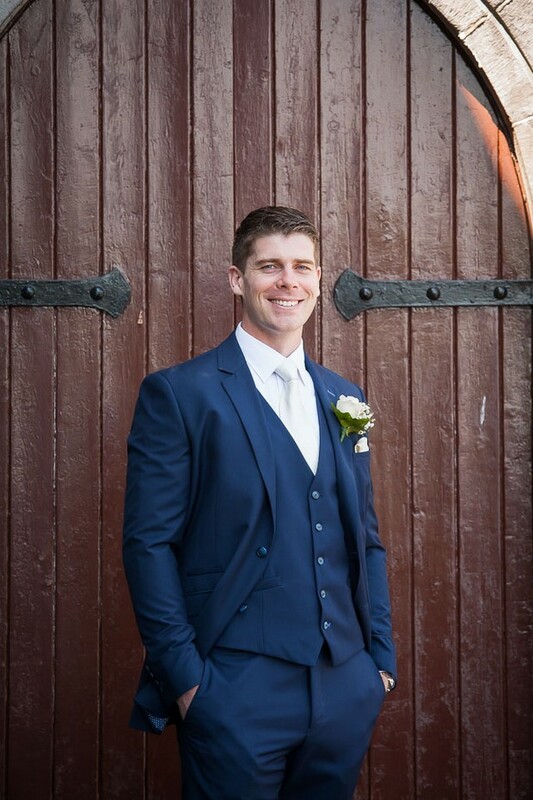 Christopher Clarke. 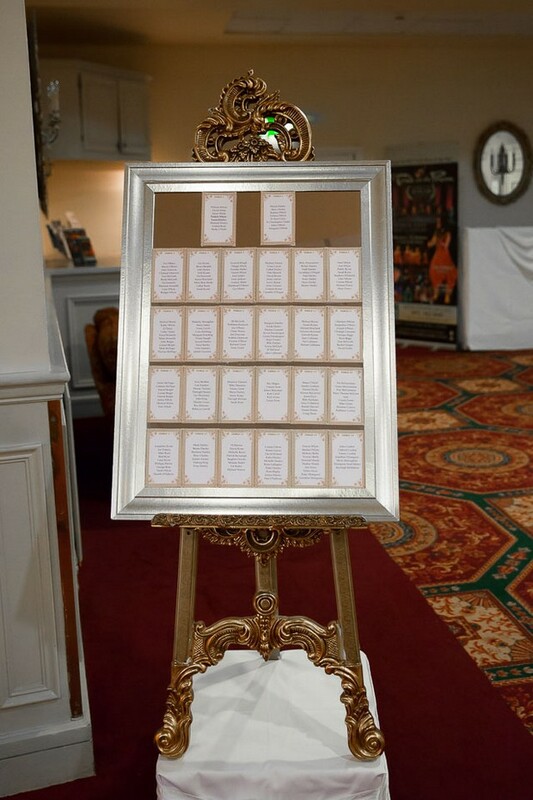 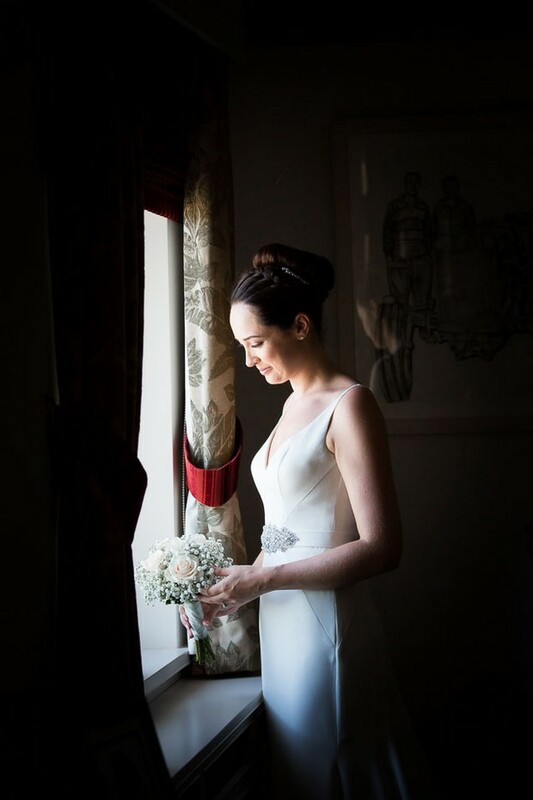 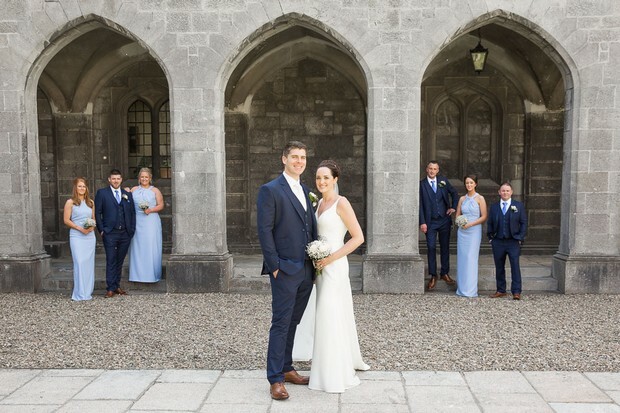 We chose our photographer because… I had researched a lot of photographers and I liked Deirdre’s (Deirdre Langan Photography AIPPA) style, my cousin also had her photograph her wedding. 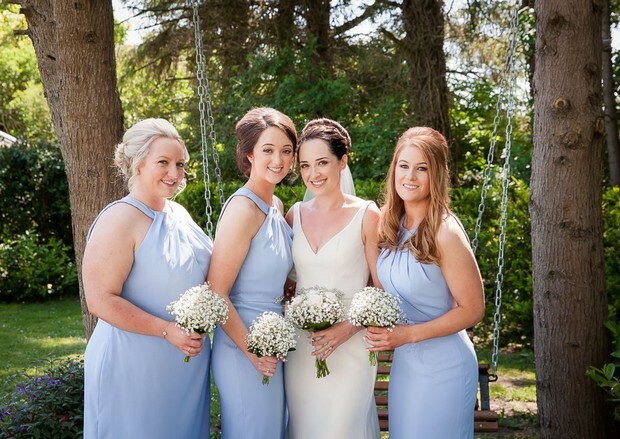 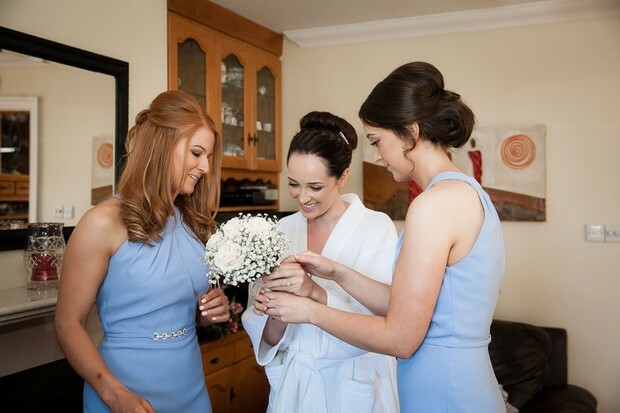 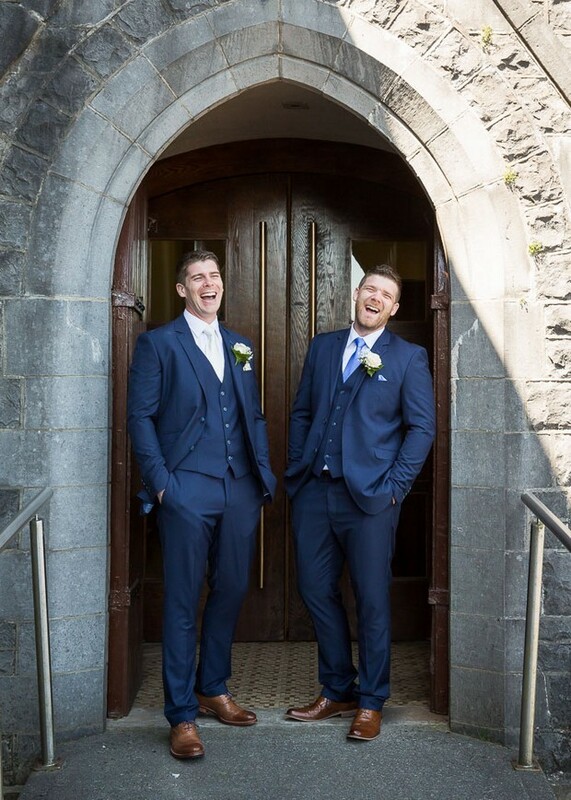 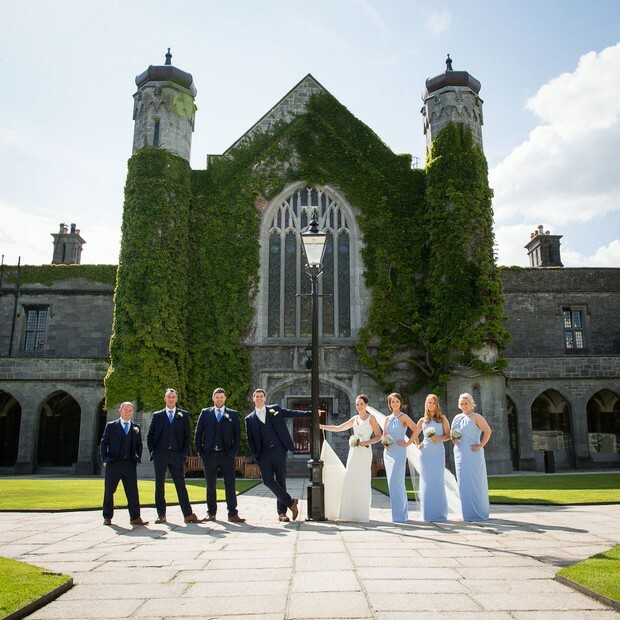 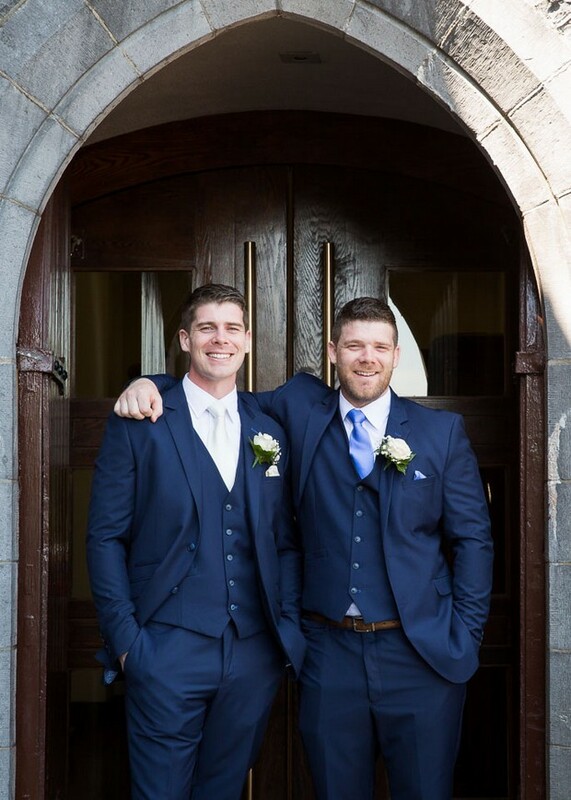 What our bridal party wore… Carolina Blue Dessy Dresses from Wedding World in Galway. 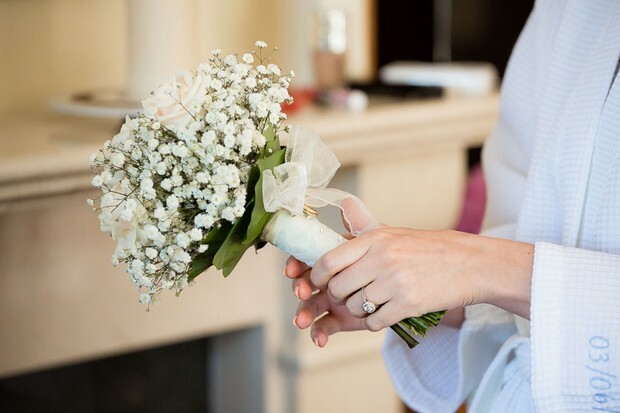 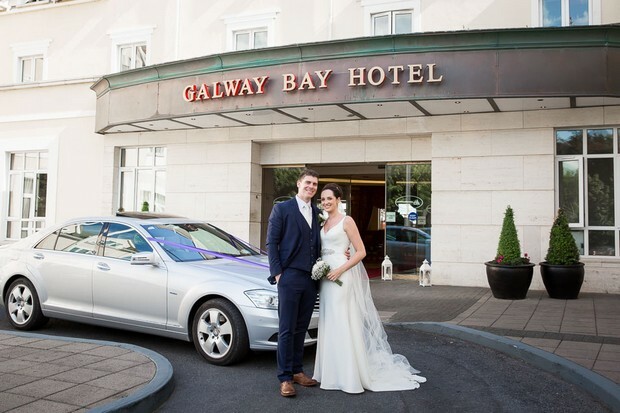 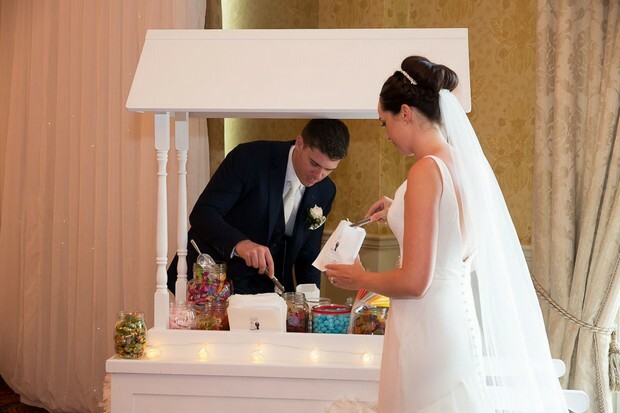 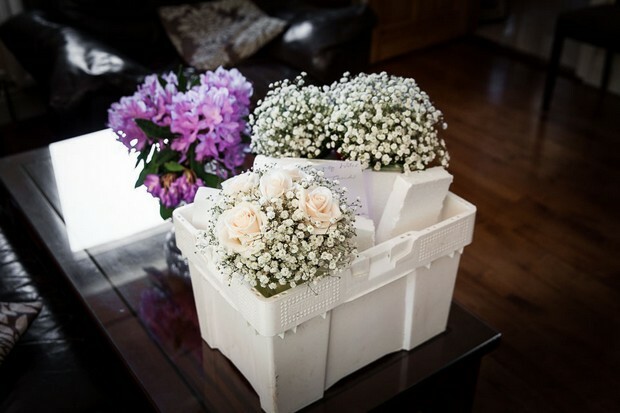 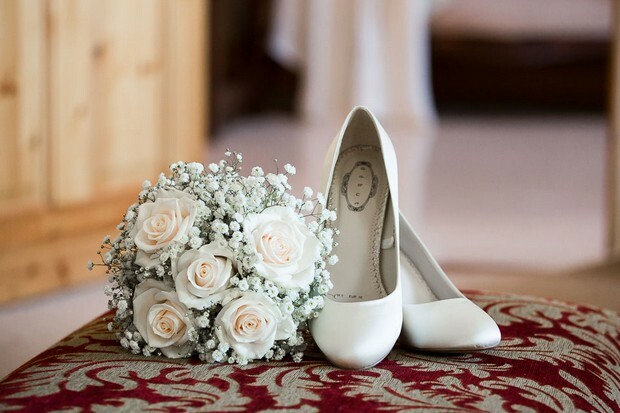 We chose our venue because… of the beach location in Salthill and how easy it was to get to the Galway Bay Hotel from Claremorris. 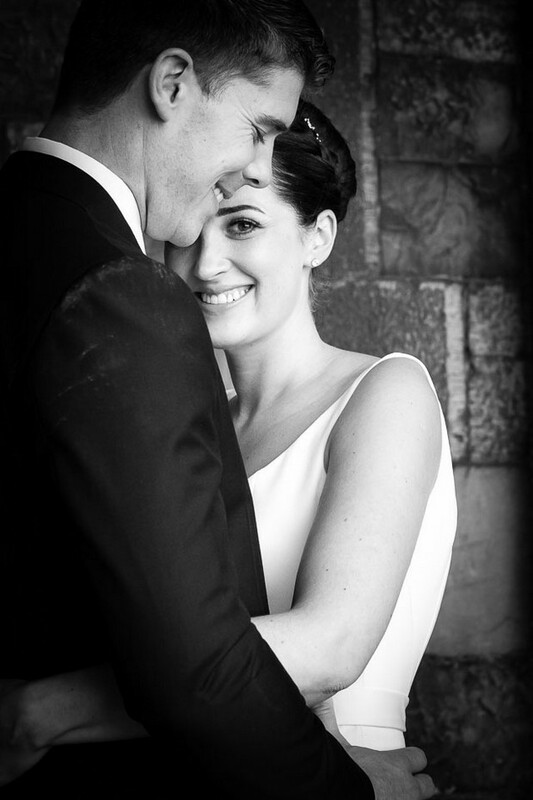 I had liked the idea of having wedding photos on the beach! 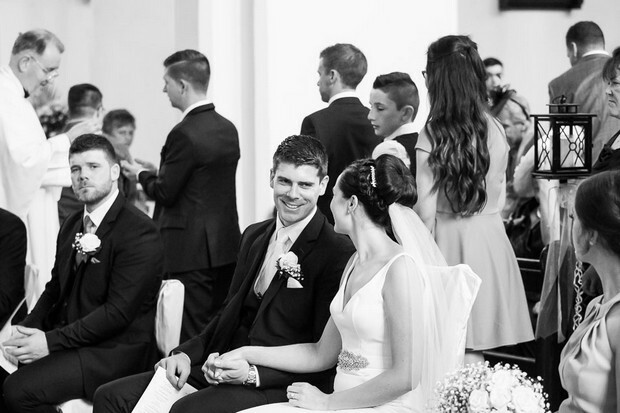 However, we were blessed with a heatwave that week so the beach was packed with people! 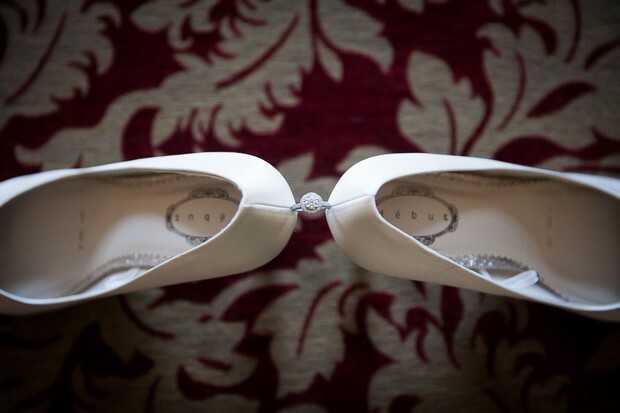 Our honeymoon… Patrick surprised me on our wedding day with our honeymoon trip to New York for a week on the 7th December. 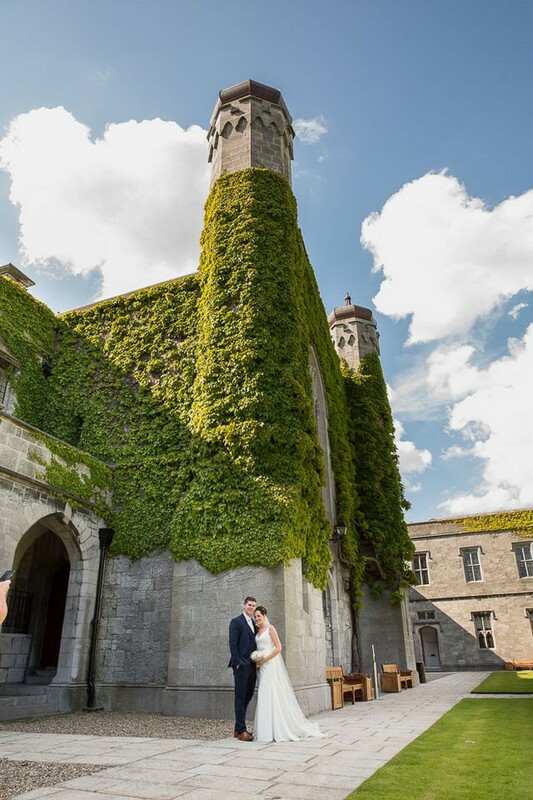 After the wedding we went to Donegal for a few days and stayed at Lough Eske Castle. 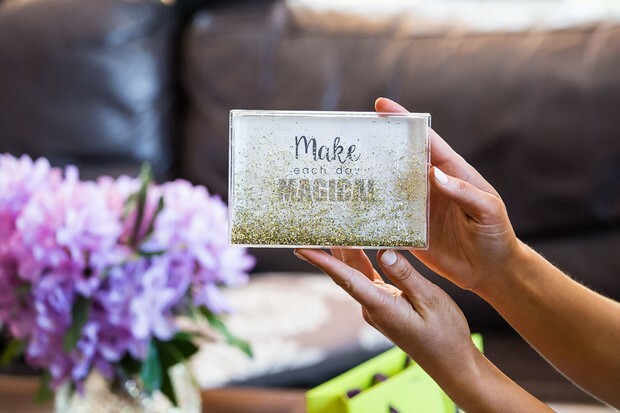 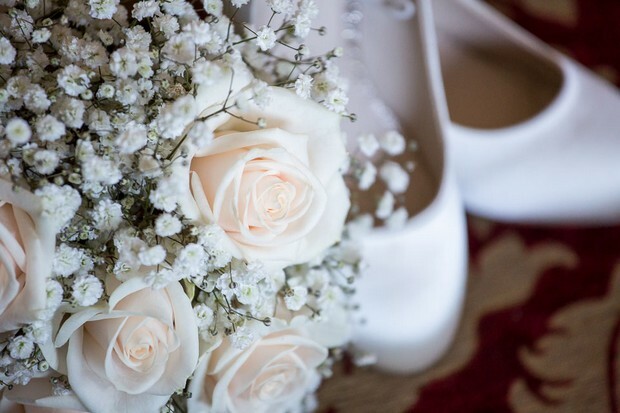 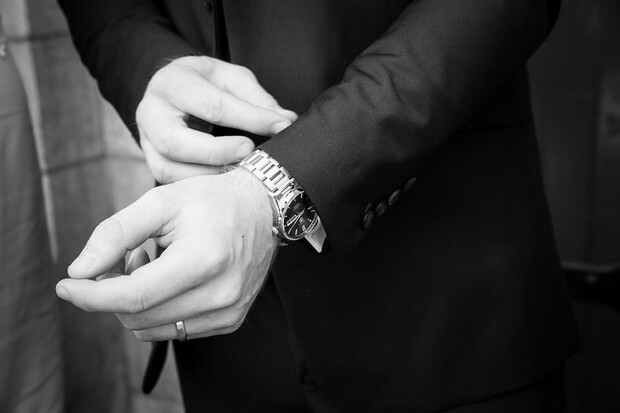 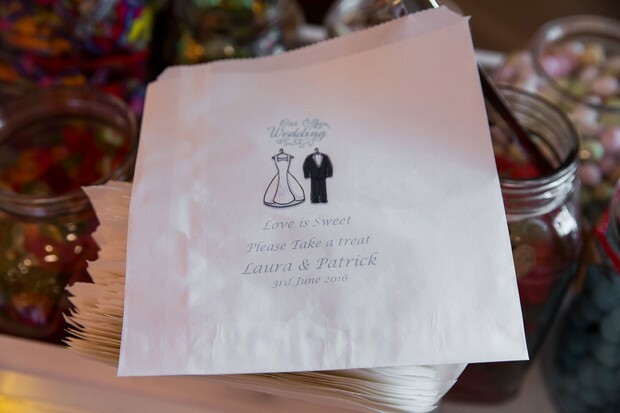 My favourite part of the wedding day… everything! 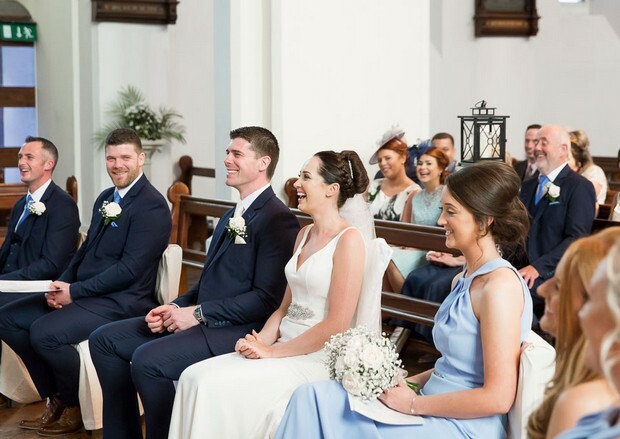 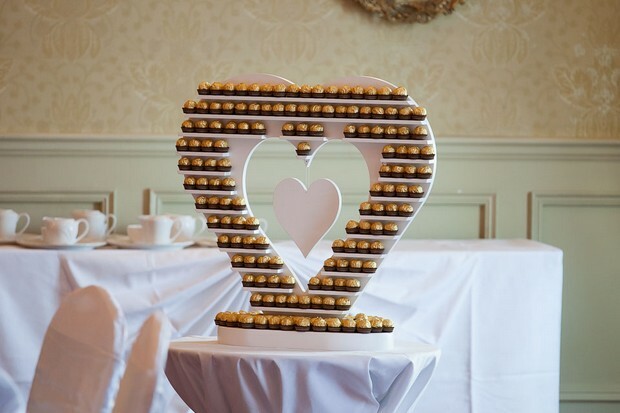 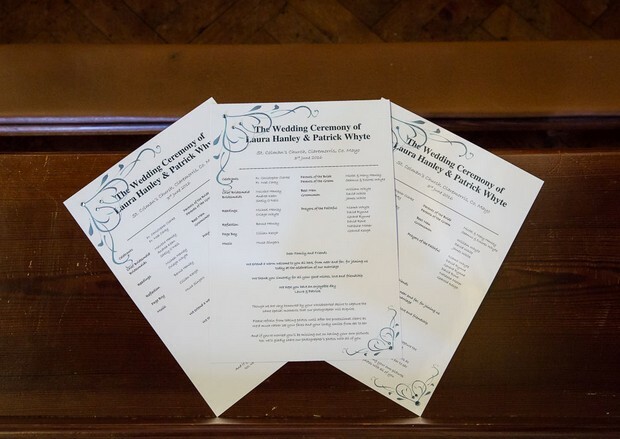 I loved every second… special moments included walking up the aisle, seeing Patrick waiting for me, my Mum’s surprise wedding speech, my Dad’s surprise hand-made Ferrero Rocher sweet stand, amazing sunny weather, seeing all our family and friends in one room and becoming Mrs Whyte. 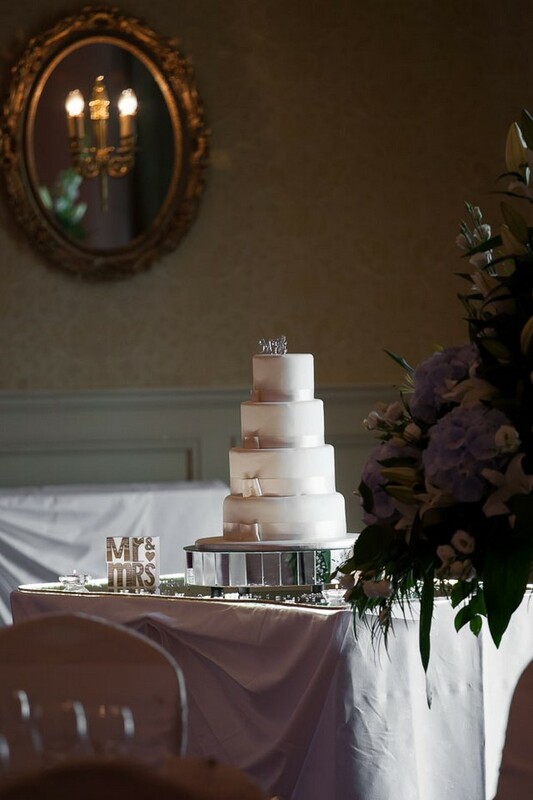 Our menu… Chicken & Mushroom Vol-au-vent, Chicken & Corn Veloute, Poached Fillet of Salmon, Ballotine of Turkey and Glazed Donegal Ham, Galway Bay ‘Pot Pourri’ for dessert. 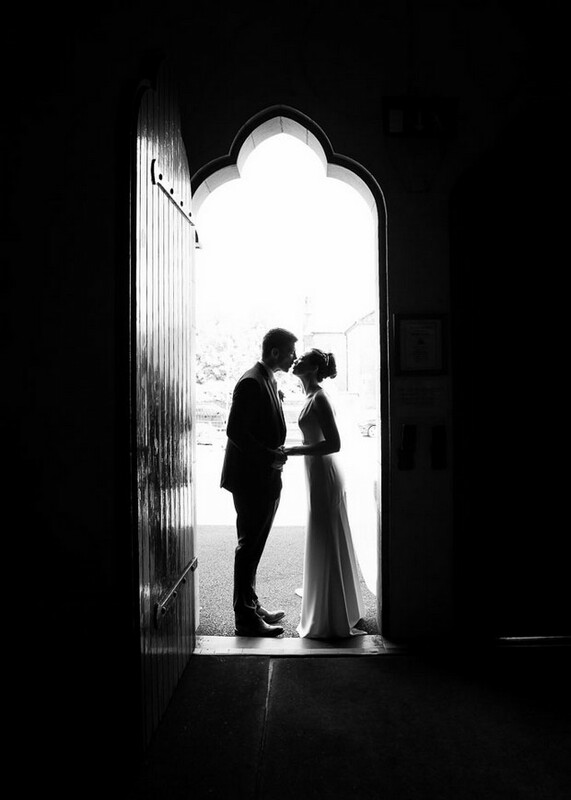 My piece of advice for other couples… take it all in, enjoy every second, the day goes by so fast.